The University of the Fraser Valley men’s soccer team battled through adversity on opening night, only to be denied by the UBC Thunderbirds – and specifically, goalkeeper Chad Bush. Playing at UBC’s Thunderbird Stadium on Friday evening, Victory Shumbusho opened the scoring for the hosts in the 27th minute and Bush made sure it stood up as the game-winner. He came up with a pair of huge stops on Brady Weir and Charandeep Rangi on either side of halftime to lift UBC to a 1-0 victory. 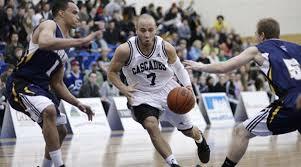 The Cascades (0-1) are back in action on Saturday as they visit the Victoria Vikes (7:15 p.m., webcast at CanadaWest.tv), while the T-Birds (1-0) host the Trinity Western Spartans (6:30 p.m.). UFV saw central midfielder Spencer Williams exit with a foot injury 20 minutes in, forcing head coach Tom Lowndes to juggle his lineup and go with six first-year players on the pitch together for long stretches. The first 10 minutes of the game were uneventful, but the T-Birds had the first dangerous offensive foray. It yielded a close-range shot from Zach Verhoven, albeit from a sharp angle, and Cascades keeper David Hicks scooped it up. UBC kept coming, though, and they broke through in the 27th minute. Patrick Izett’s free kick found Shumbusho in stride in the box, and he nodded the ball inside the far post. The Cascades had a golden opportunity in the 39th minute – off a free kick of their own, Jun Won Choi was fouled in the box, and the referee pointed to the penalty spot. Weir stepped up and looked to tuck a low shot inside the post to Bush’s right, but the UBC keeper dove to knock the ball aside. The Cascades had another great look at goal just after halftime as centre back John Kasper found fellow rookie Rangi with a cross at the far post, but Bush was able to get over to keep the ball out. 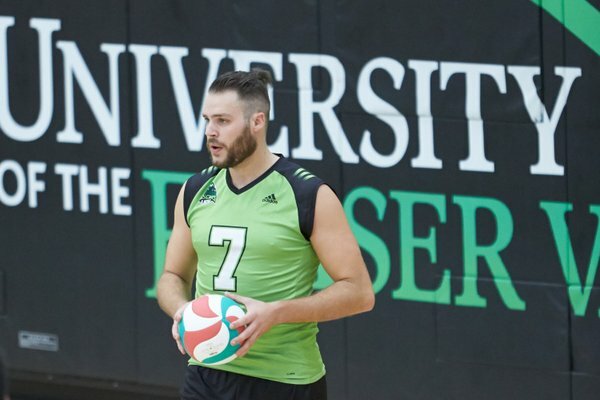 Hicks sparkled in the late going to keep UFV within one – he came up with two massive stops on T-Birds substitute Ryan Arthur, including a high-flying dive to his right to erase a shot labeled for the top corner. Weir had one more crack at an equalizer, but his long-range attempt in added time sailed just over the crossbar. Be the first to comment on "UFV Sports Friday – Men’s Soccer"